The Everett Railroad is a 23-mile Class III Common Carrier freight railroad serving Blair County’s I-99 corridor, including the communities of Altoona, Hollidaysburg, Roaring Spring, Martinsburg, and Claysburg. We are a handling-line carrier for Norfolk Southern, offering customers seamless and competitive rates and flexible service. 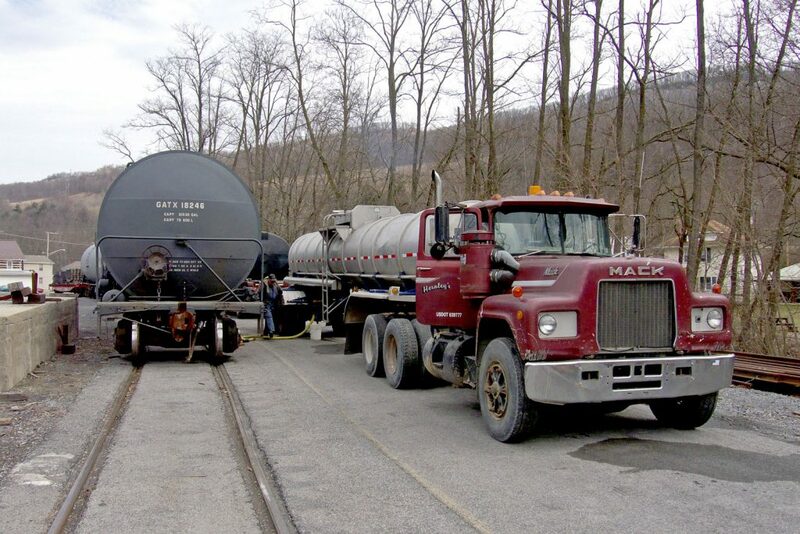 Transload: If you do not have direct rail access, the Everett Railroad has three transload sites available: Hollidaysburg, Martinsburg, and Claysburg. Public Delivery Tracks: 24/7 shipper access conveniently located along the I-99 corridor in Hollidaysburg, Claysburg, and Martinsburg, PA.
Warehousing: Our railroad has direct access to warehousing and distribution centers operated by Smith Transport and The McCabe Group. Flexible Service: Freight trains typically operate Monday, Wednesday, and Friday, but service seven days per week is available upon request. We can safely and reliably handle transloading bulk commodities between rail and highway trailers, including frac sand, building materials, stone, agriculture/feed, and paper products. Our freight trains operate typically operate Monday, Wednesday, and Friday, but seven-day service is available. The Everett Railroad can accept 286,000-pound cars at the Hollidaysburg Team Track/Hollidaysburg Bulk Transload (FSAC: 67780, SPLC: 212479000). For all other locations, the maximum gross weight accepted at the interchange is 263,000 pounds.